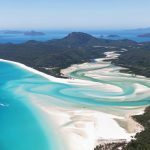 LAB charters are increasingly popular with seasoned anglers, fishing beginners and those just looking for a whole new experience when travelling Australia. If you don’t know what LAB charters are, you are about to find out. LAB stands for Live A Board. You are probably getting a better idea now. LAB charters running out of Pt Lincoln, South Australia are becoming very popular with locals and internationals alike. The word is getting out. LAB (Live-a-board) charters from Pt. Lincoln are arguably some of the best charters in the world. Most will allow you to fish as much as you want. Starting from breakfast, you can be fishing right away and all day out off shore. After dinner, you can have a go at night fishing if you still have the energy. A number of charters run some of the best boats, including a Crusader III, and a huge 65ft Conquest. The vessel was purpose-built for long range fishing. There is nothing like having the luxury of staying out for more than a week in absolute luxury. 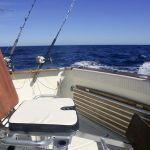 Pt Lincoln, South Australia is not really known for its tourism but when it comes to game fishing it is certainly one of the best fishing destinations in the word. LAB fishing charters give you so much extra value because you have the whole 24 hours of the day and less time is wasted getting from place to place. LAB generally implies long-range charters are the name of the game. 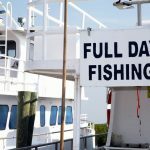 The majority of long range fishing charters from Pt Lincoln will stay at sea for 3-5 days and longer if groups work a deal – always try to speak with the person that actually owns the boat and the captain of course. That time might not sound a lot if you are not if you are not used to the work of boat fishing. But when you are on the fish, I can tell you to expect a real workout. Shorter charters, say for the day, generally head out to the offshore islands and reefs. Look for a charter that will be giving you time around Coffin Bay and Elliston if a LAB is not for you. On a LAB charter you are in for the time of your life. Experienced guides know exactly where the fish will be and at what time. On our LAB we cruised the wider waters of Pt Lincoln giving us the opportunity to catch some really big fish. We thought we would be after the biggest of Samsons, Kings and Blue Fin but our skipper informed us he could take us out fishing to the wider waters of Pt Lincoln on the hunt for the for the Big King George Whiting. The skipper promised us an eventful trip and we were not to be disappointed. As is the norm for the region, the seas were calm and we enjoyed perfect weather for fishing. With so much time on a live-a-board, it pays to pace yourself. There is a lot of fishing to be done when you are on a boat 24 hours a day. Chasing after those Whiting is no easy task. 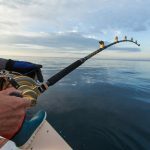 Jigging for fish in the deeper waters is a really good way to give your body a break from the back-braking work of reeling in 3-foot fish when you are out in the deeper of waters. We spent out time breaking up the days trying a variety of fishing styles and were very happy with the top quality equipment supplied. 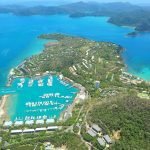 There are no two ways about it, it’s worth paying the extra for a great charter with a skipper, crew and staff who really know what they are doing and have all the best gear available for you. Without making a profit, they can’t have those options available to you. It just makes sense, especially if you are travelling on a holiday to give yourself a little bit better than best. Some charters will arrange accommodation or camping on remote islands, which is a very pleasurable way to enjoy the day’s catch. I admit I did enjoy the camping at night. Even some of the other’s went out night fishing until the early hours of the morning. On the fifth and final day of this trip, the fishing really came together. It seemed the captain was really in his element with one eye on the horizon and the other on his fish finder. He yelled out to everyone as he threw out chopped pillies into the water as they swarm of fish came long stern side. We finally found what we had come for. There were huge Tuna darting all around the boat. It was mayhem, madness, wild and crazy for at least an hour. Maybe it wasn’t but everything sort of slowed down as everything happened at once. What an awesome experience. So while everyone went for their own choice of tackle and setup, the fish just kept raining down on us. Under the huge swarms of Tuna, the water was so clear we could see Silver Trevally of 1kg to 4kg swimming in their own pack. It was real fishing on these Blue Fins. It was seriously hard work because these creatures live hard and fast and they’ve got the muscle to prove it. Fighting in a good Shimano rod and reel with 20ld braid line could turn into hours, and you could be getting dragged all over the deck like I did. We got a taste of just about everything and the trip was well worth it. It is hard to find Blue Fin like that anywhere else in the world. 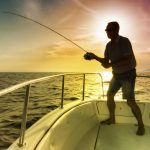 So you have a fishing story you want to share? Send it in with your photos to contribute@dinga.com.au or contact the editor through the comments section below.